Our expert in graphic design in Northridge works with clients to create effective designs for printing projects of all kinds. Whether clients bring raw ideas or rough drawings to us, our designers focus on developing designs that meet their needs. After completing designs to the satisfaction of the client, our office can print the designs on t-shirts, bumper stickers, envelopes and many other items. With expertise in designing company logos and using them in marketing materials, our expert in graphic design in Northridge can help companies boost awareness of their brand and products in any target market. Our designers focus on helping clients get excellent advertising results by balancing color, tone and other design elements on their billboards, direct mail and other media. 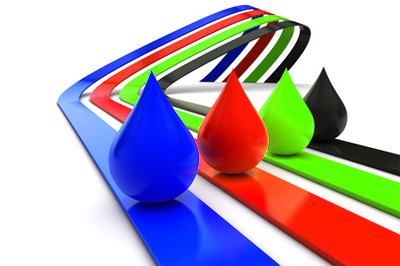 Our graphic design can also be used digitally for websites and online advertising campaigns. Finally, consumers can have unique cards, certificates and other custom items designed by us for birthdays, graduations and other special occasions. Our Northridge graphic design services include laying out textual elements for printing in books, magazines, newspapers and other media. This service is crucial for eye appeal and ease of use among readers. When companies need newsletters, brochures or other text-rich materials printed, they can save time by visiting us for everything from the design phase to the printing process. Self-publishing authors will also gain efficiency by letting us handle the layout as well as the printing of their books. Our Northridge graphic design services simplify the task of getting amazing graphics that work for any purpose. In a single location, area residents can have all of their digital and paper-based graphic media developed and printed to their specifications. The result is that local companies and consumers enjoy greater efficiency in their daily lives while receiving superior graphics that get noticed.